Place the milk and yeast in the bowl of a stand mixer and lightly whisk. Allow to stand until frothy and yeasty smelling about 3 minutes. Place the flour, sugar, spices and salt in a large bowl and whisk to combine. Slowly mix the flour mixture, using the hook attachment, into the yeast mixture. Add the yolks and mix, until a rough dough forms, about 1-3 minutes. Add the butter, increase the speed, and mix until the dough is smooth, shiny, and elastic, about 5 minutes. It should be tacky, sticking to the bottom of the bowl but not to the sides or dough hook. Coat a large bowl with oil. Form the dough into a ball, place in the bowl. Roll the dough around the bowl to coat it lightly in oil. Cover with a damp tea towel and let rise in a warm place (or cold oven) until doubled in size, about 1-1 1/2 hours. Lightly flour a platter. Set aside. Punch down the dough, transfer to a lightly floured work surface (I used a rolling mat), and roll until about 1/4 inch thick. 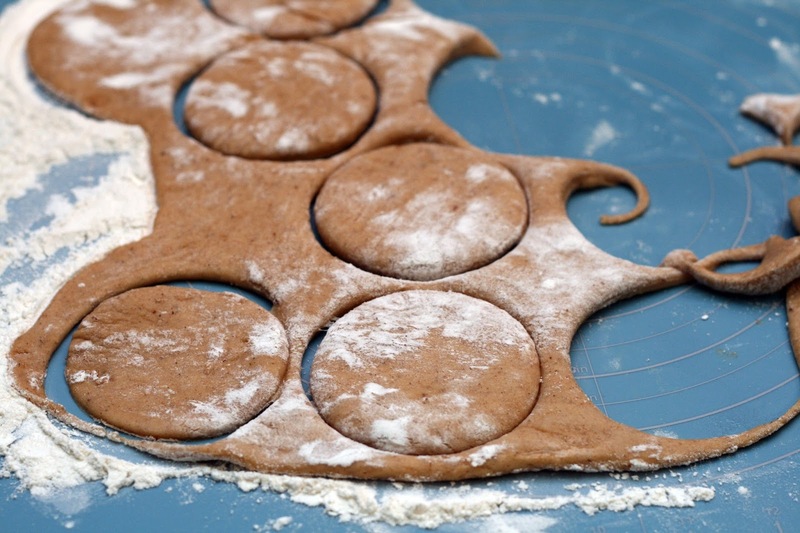 Using a 2-inch round cutter, cut out dough rounds and place on the prepared platter 1/2 inch apart. Roll the scraps into a ball and roll out again, cut into rounds. Cover loosely with a tea damp towel. Let rise in a warm place/cold oven until doubled in thickness, about 30-45 minutes. Meanwhile, beat together the vanilla, cream cheese and powdered sugar until smooth. Set aside. Pour about a quart and a half of canola oil in a large, heavy-bottomed pot and heat until the temperature reaches 350. Meanwhile, line a second baking sheet with paper towels and place a wire rack over the paper towels. Set aside. 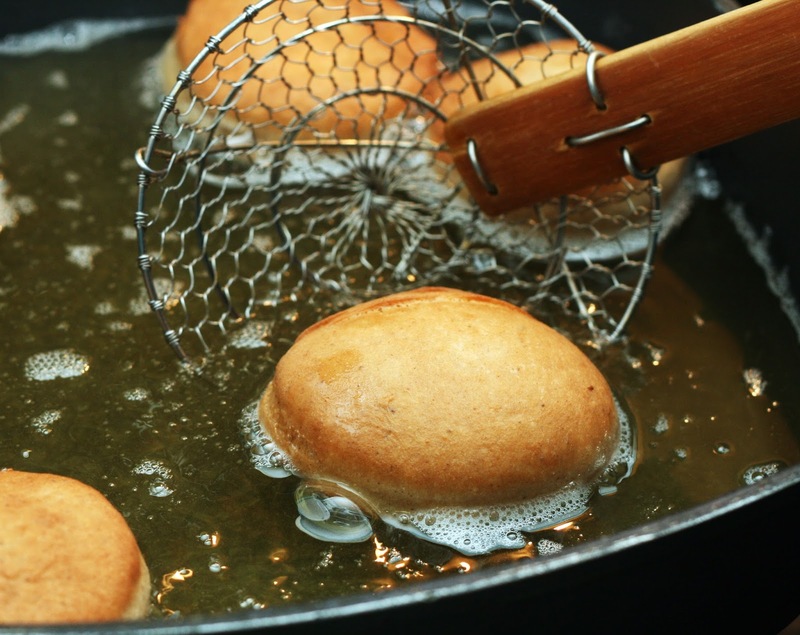 Use a large, flat spatula to lift the doughnuts into the oil, taking care not to over crowd the pan. Cook for 1-2 minutes on each side. Drain on wire rack over paper towel-lined baking sheet. Repeat for remaining dough. Puncture the side of each doughnut with the tip of a small, sharp knife and pipe in the cream cheese mixture. Dust doughnuts with powdered sugar on both sides. Bonus Points: Add gingerbread spices to the powdered sugar before sprinkling for extra flavor. I like to use my dusting wand to get an even amount of sugar on each doughnut. 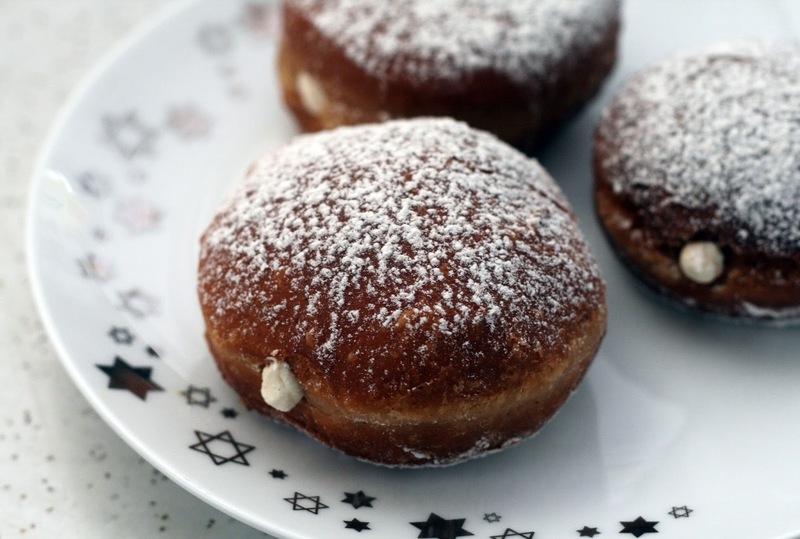 Sufganiyot are super popular Hanukkah snacks in Israel. While we are over here frying potatoes like chumps, they are chowing down on doughnuts! Unfair! I love yeast doughnut so I will take any excuse to eat them so why not make my own? Happy Hanukkah! Hanukkah and Christmas overlap this year and we celebrate both at our house so I thought it would be fun to combine a fried Hanukkah treat with a classic Christmas dessert. Gingerbread sufganiyot seemed like the logical choice. Rather than just making plain sufganiyot with a gingerbread filling, I made the doughnut gingerbread flavored and filled it with sweetened cream cheese. Traditionally sufganiyot are jelly doughnuts but neither of us really like jelly doughnuts ( #teamcustardfilled) and the combination of jelly and gingerbread did not seem appealing. If it does to you feel free to use jelly instead, of course! I've read that fancy sufganiyot with unusual flavor pairings are all the rage this year in Israel so I think these would fit in very well! The cream cheese is a bit thick so you really have to use some musel to get it into the doughnut but it is worth it to have every bit filled with gingerbread-doughnutty-cream cheese excitement. Also, these doughnuts take a while to make so be prepared to get up early if you want to have them for breakfast. Snack time might work best! These are super flavorful, nice and spicy and full of gingerbread flavor but with the light texture of a yeasted doughnut. Grease a 2 1/2 quart baking dish. Set aside. Saute the onion in butter in a medium pan until soft and translucent but not browned. Sprinkle with pepper. 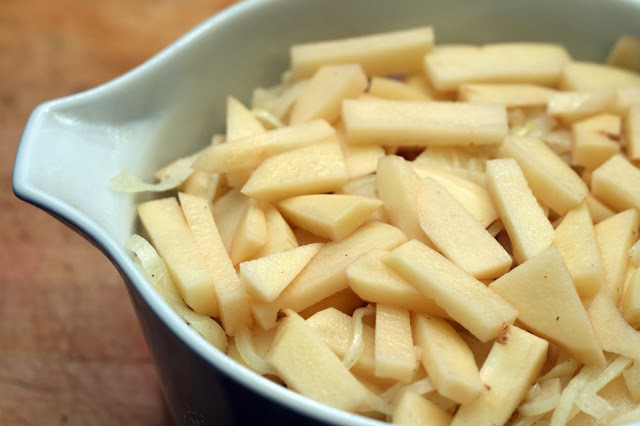 Place a layer of potatoes in the bottom of the baking dish. Layer with onions, then potatoes, then sprats until all is gone, ending with potatoes. Pour the juices from the tin over the potato mixture if desired. Pour the cream over the top until you can just begin to see it through the potatoes. Top with bread crumbs. Bake until the potato is tender, about 1 hour. Check at about 30 minutes and if the top is browning, cover in foil until fully cooked, removing to brown if needed for the last few minutes. I've been wanting to make this for years! 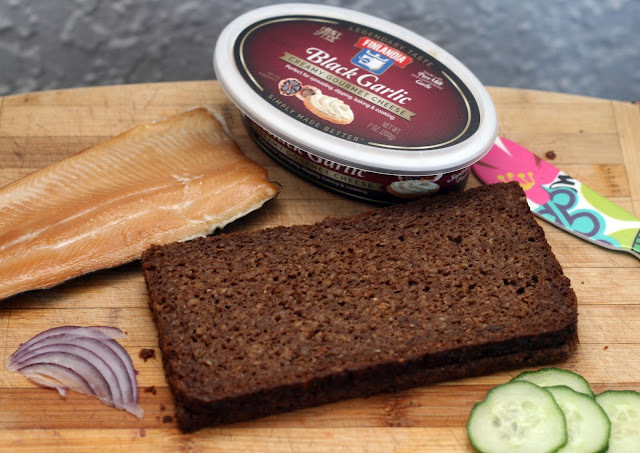 I've had it at various smörgåsbord but the key ingredient-the sprats-aren't super available here in Baltimore as we do not have much of a Swedish population. Luckily, this year when we went to the Swedish holiday bazaar, a man was there selling not only the usual candy, jams and mixes but tins of sprats! Score! Side note: you can buy them online on Amazon and on various Swedish/Scandinavian online groceries but they are pretty pricey to ship as they need to be kept refrigerated. Or try Ikea, where they sell their own version under the name skarpsill, seasonally. 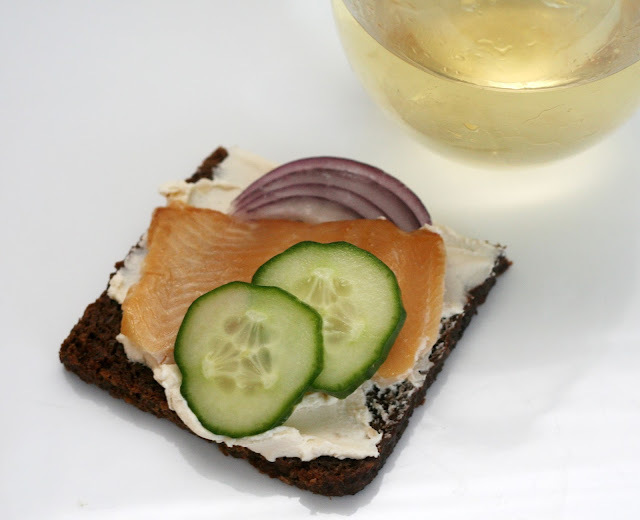 Janssons Frestelse (translated as Jansson's Temptation) is most often served at the julbord, the Christmas smörgåsbord but from what I can tell, it is also popular at other holiday celebrations like Easter. 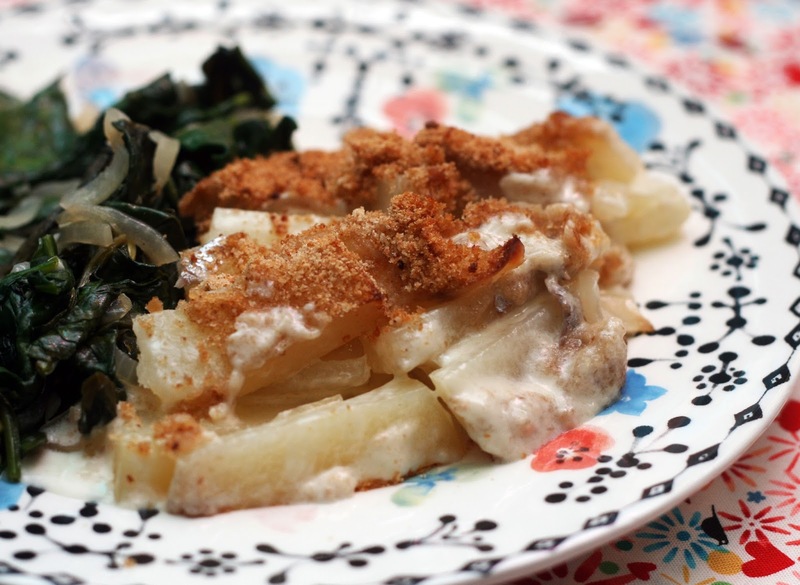 It is a homey casserole, similar to scalloped potatoes but with one major addition: salty, sweet, spiced, lightly pickled sprats! 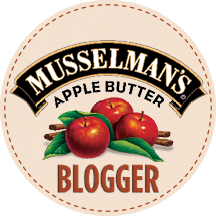 It sounds a little nuts but it really is good; lightly sweet but very savory. 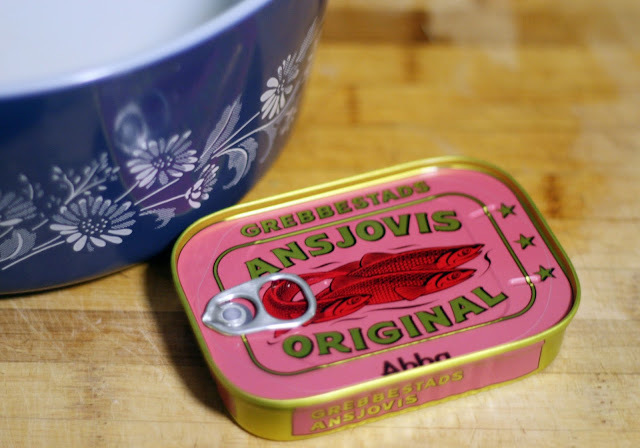 If you can find the ansjovis (remember--it is sprats, not anchovies!) 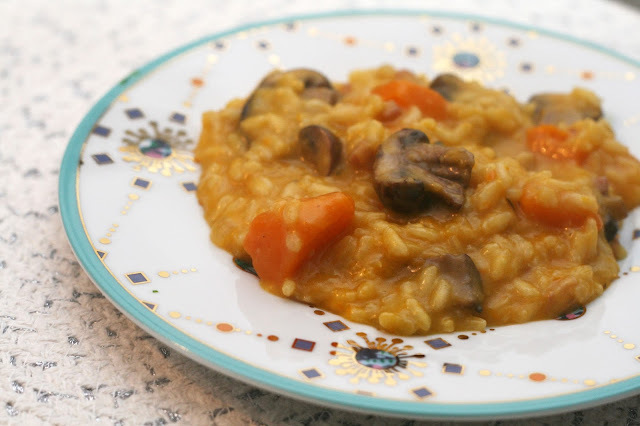 it is well worth making and a welcome addition to any holiday table. Bring a large pot of salted water to boil. Add the spaetzle. Cook according to package instructions, about 10-12 minutes until the spaetzle is tender. Meanwhile, saute the onion and mushrooms until the onions are nearly caramelized. Add the spinach and saute until wilted. Sprinkle with salt, pepper and paprika. Add the drained spaetzle, saute 1 minutes until well combined. Remove from heat and stir in chèvre. Serve immediately. This has been a rough year in general and the last nearly two weeks has been dreadful as we both have had the actual flu, a stomach flu, and in my husband's case, a throat virus that makes it difficult to swallow and to eat acidic foods. Oy! My plans to make tons of festive food this month really went out the window after those brownies. Holiday season indeed! Luckily, Hanukkah and Christmas are at the same time this year so we can knock them out at once (or nearly, Hanukkah continues) while we are feeling marginally better. 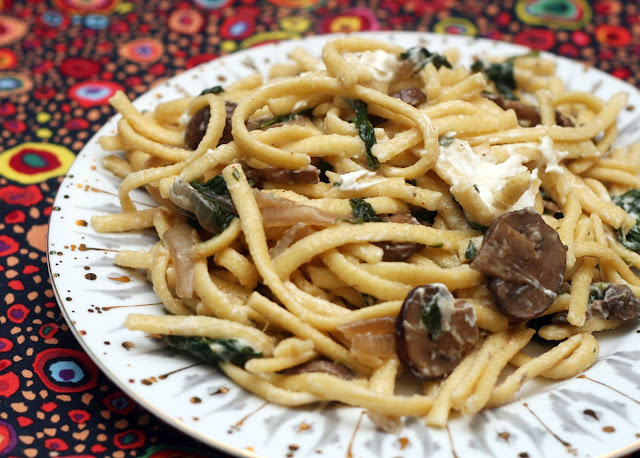 I love spaetzle any time of the year but it is especially easy to find during the winter months. I stock up on bags and keep them to have throughout the year. Frequently, spaetzle is served rather plain or under a sauce but I like to use the sturdy noodle in more of a starring role. 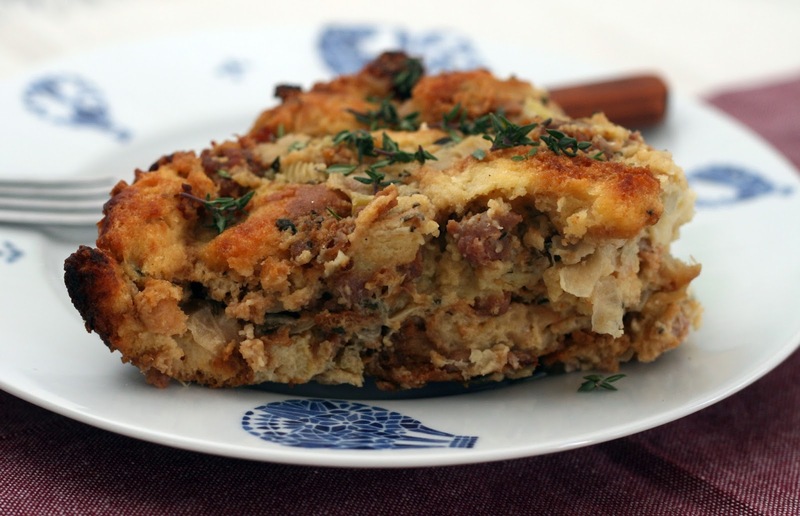 This could be a vegetarian main dish or hardy side for a weeknight meal but it is special enough thanks to the chèvre to serve at the holiday tables. Preheat oven to 350. Spray with baking spray or grease and flour one 9x13 inch baking pan. In a saucepan, melt the butter, cocoa and chocolate together over low heat. Stir occasionally, and when the chocolate is nearly melted, remove from heat. Whisk until smooth. Set aside. In a small bowl, stir together flour, salt, baking powder and 1/4 cup crushed candy canes. In a separate bowl, beat together the sugar, eggs and vanilla until frothy. Slowly stream the chocolate mixture into the eggs and mix to combine. Gradually stir in the dry ingredients and mix until the batter is thick and glossy. Beat in the Peppermint Patties. Spread evenly in the prepared pan. Sprinkle with remaining candy cane bits and sprinkles (if desired). Bake 30 minutes or until a toothpick inserted into the center comes out clean. Cool completely before slicing and serving. *Crush your own by placing them in a resealable plastic bag and whacking it with a rolling pin. Many stores, including Giant (if you are local), sell bags of pre-crushed candy canes. This has been a long summer and fall and I am trying mightily to get into the holiday spirit. What could be more festive than peppermint infused brownies?! 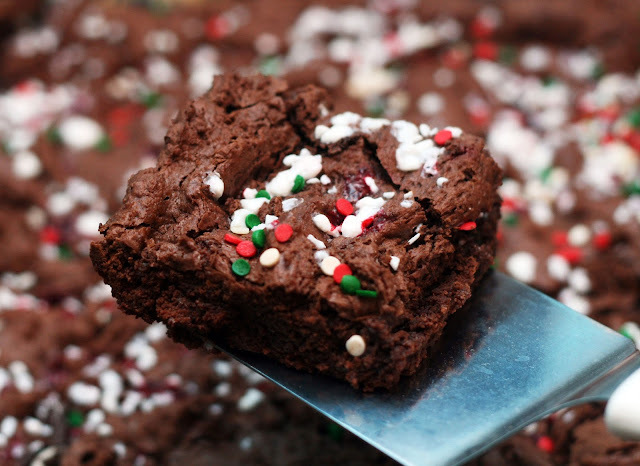 I've made brownies with a Peppermint Pattie layer before (8 years ago, OMG) and Candy Cane Oreo Brownies (4 years ago! Where does the time go?) and loved them so I thought I'd do a mash up and make this candy-packed version. The mint favor is really spread out and the York Peppermint Patties give the brownies a slightly chewy texture which I find pleasant. I always forget how much I like brownies and how easy they are to make until I make them again. It is like brownie amnesia. Normally I make brownies in an 8x8 inch pan because we are a family of two but this time I went all out and made a whole 9x13 inch pan which is perfect for taking and sharing. Feel free to cut them as large or small as you'd like, they are rich but not as over-the-top as you'd think! Preheat the oven to 350°. 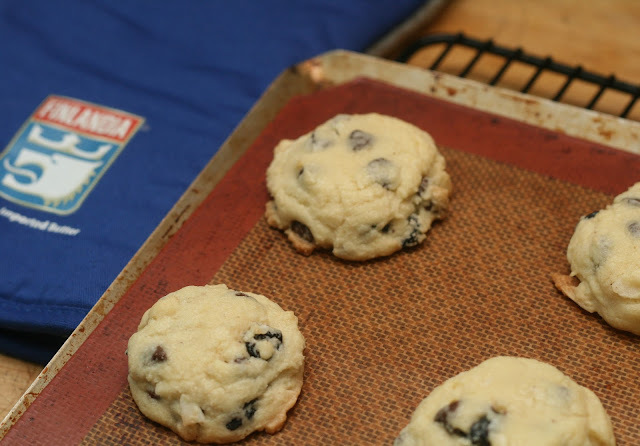 Line 2 cookie sheets with parchment paper or a silipat. In a medium sized bowl, whisk together the dry ingredients. Set aside. In a large bowl or bowl of a stand mixer, beat the butter and sugar together until light and fluffy using a stand or electric handmixer. Add the egg and vanilla and combine thoroughly. 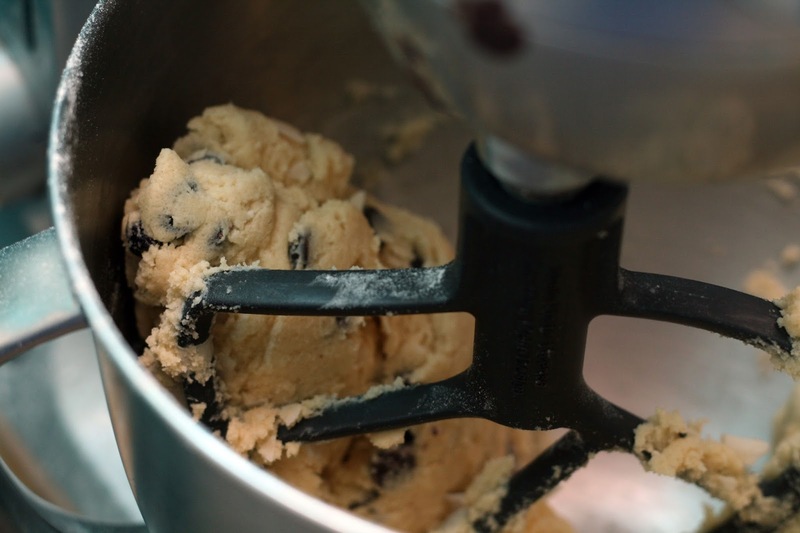 Gradually add the dry ingredients to the butter mixture and mix until a very thick dough forms. 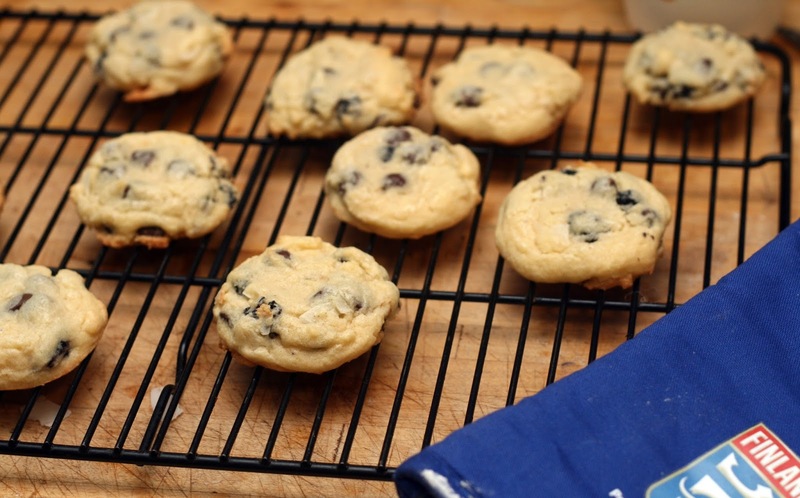 Fold in the chips, coconut, and blueberries. Form cookies by dropping 1 heaping teaspoon of dough two inches apart. 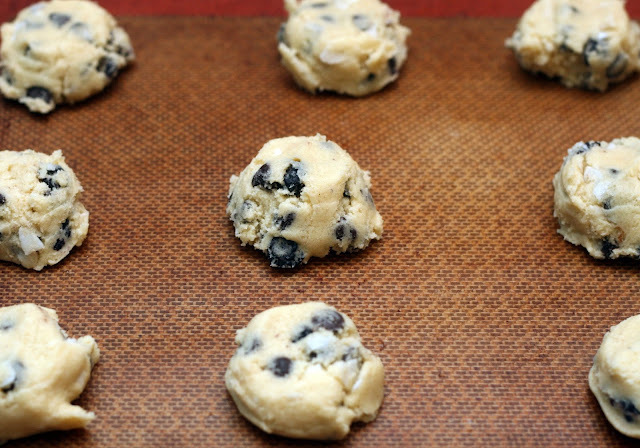 Flatten slightly then bake until light brown on the bottom, about 12-13 minutes. Slide them out on the parchment paper onto a wire rack and allow them to cool 1-2 minutes on the parchment or silipat on the wire rack before removing the parchment and allowing them to cool directly on the wire rack. Cool completely before storing in air-tight containers. 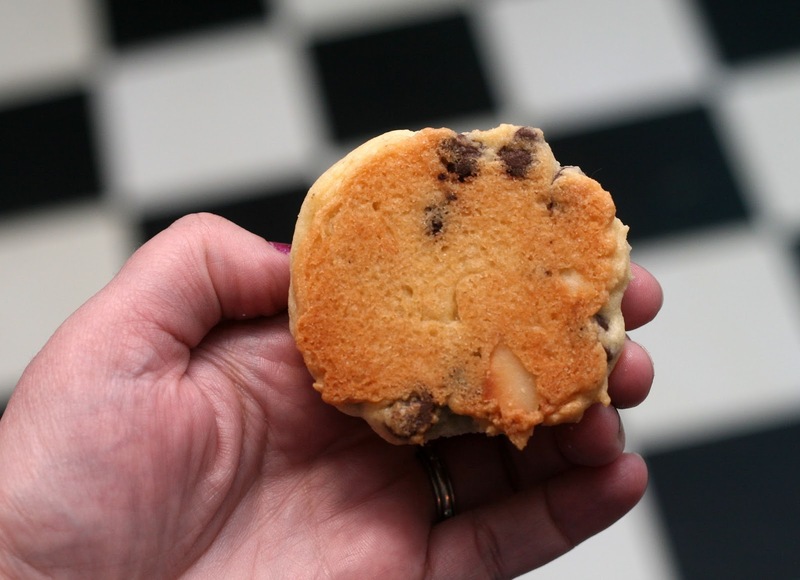 Traditionally jumbles are made with dried fruit, nuts and spices. 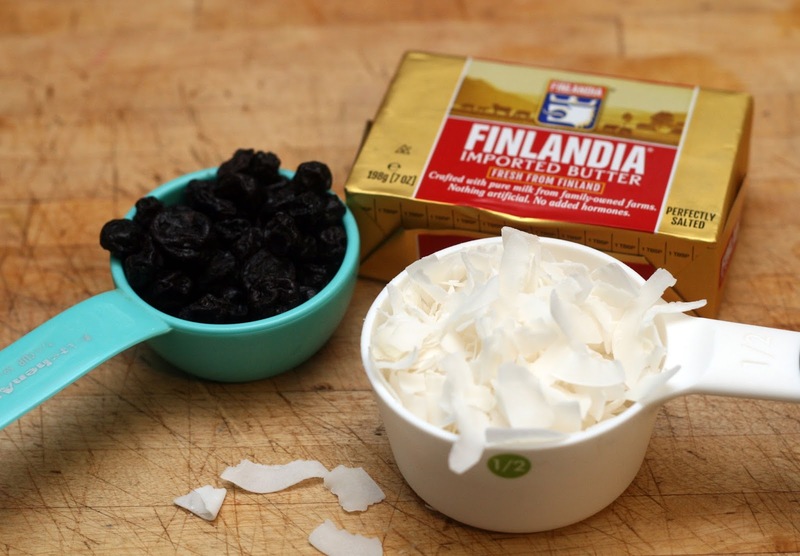 I used dried blueberries (raisins are more typical but they are the devil's fruit), cocoNUT and chocolate because, well, that's what I like and I can. 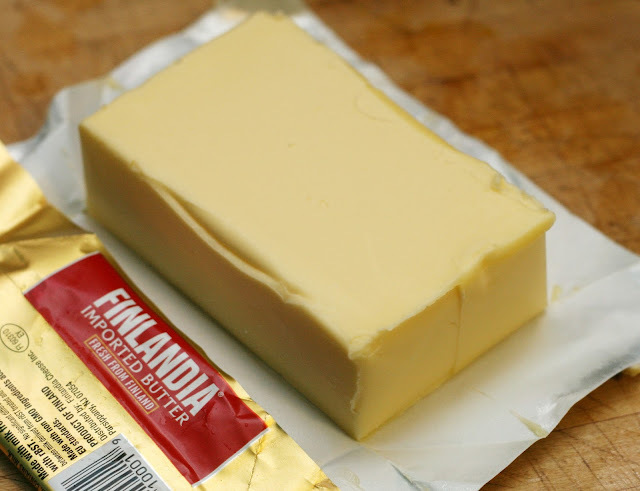 Using fresh tasting, Finlandia Premium Imported Salted Butter gave me a craggy, soft, surprisingly light cookie that everyone who tried it loved. 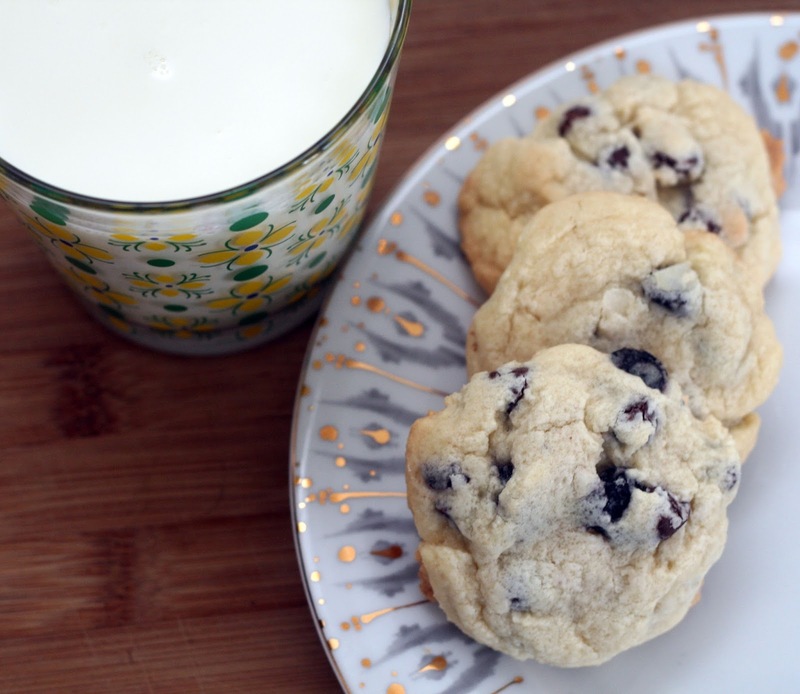 I know it is somewhat unusual to use salted butter in a cookie but jumbles are a historical cookie (think Martha Washington) and salted butter was often used in cookies back then. I'm not sure if it was the salt or the insanely soft, creamy texture of the butter (made from Finnish cows that their farmers treat like family!) but the dough whipped up super fast and was great to scoop. It didn't get stuck in my cookie scoop once! I can't wait to make these cookies again, maybe swapping the blueberries for cranberries for Thanksgiving? *I like to use the good garlic-y kind from the Polish grocery but any good, kielbasa would work. Preheat oven to 350. Saute the kielbasa, onion, and garlic in olive oil until the onion is translucent. Drain off any excess fat. Allow to cool 5-10 minutes. Meanwhile, beat together the eggs, sour cream, pepper until fluffy. Stir in the sausage mixture, sauerkraut and the potatoes. Oil an 8x8-inch baking dish. Pour the mixture into the dish and bake for 40 minutes or until fully set in the middle. Allow to cool 5 minutes. Slice into 9 squares and serve. Note: Do not skip the cooling step, it is difficult to cut straight out of the oven. I bought some lovely kielbasa at the Polish market (in Broadway Market for the locals) and a bunch of other goodies like candies, arak flavoring, pierogies, ham, sauerkraut, bread etc. 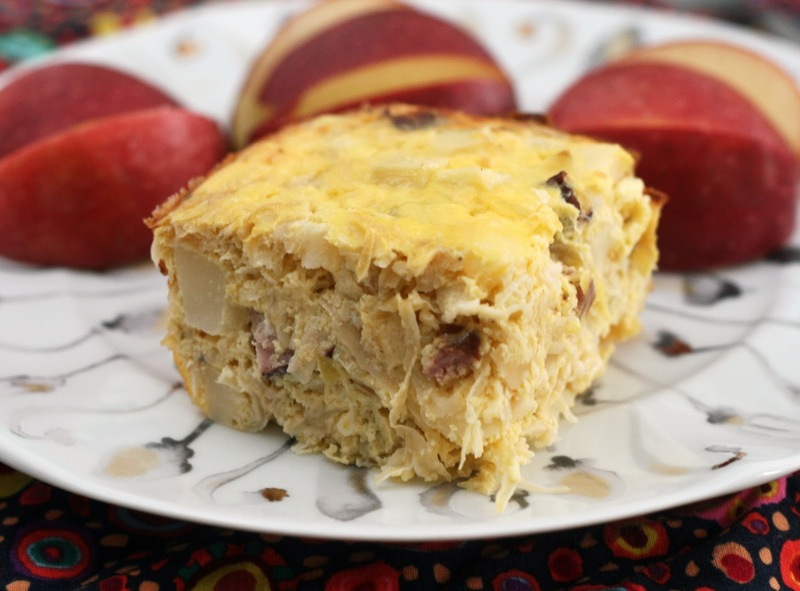 Anyway, I may have overbought the sausage so I thought I'd make a frittata out of it, then I wondered if a frittata would be good with sauerkraut in it and then last night it just evolved into a total pierogi-inspired baked frittata. My favorite pierogi have sauerkraut and potatoes in them and I serve them with onions, kielbasa, and sour cream so it made total sense. I know it sounds a little wacky but trust me, it totally comes together! It isn't super sour or anything, just a fun combo of some of my favorite foods in the world. Drain half of the oil from the fish into a small bowl, whisk in vinegar and spices. Discard the remaining oil. Chop the fish. Add to the bowl along with the lentils and onions. Serve at room temperature. 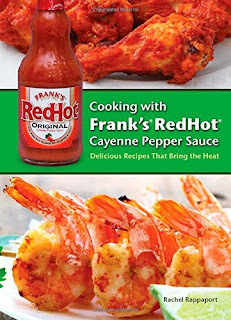 **many stores, include Target, sell these fully cooked in vacuum-sealed packets. Simply heat them according to package instructions. This is a difficult thing for me to do but I have to do it. We are nearly a month into autumn. The fact that today was the first day I had to wear tall boots (no tights yet!) instead of sandals or ankle boots really drove it home for me. That and the fact that all is left new in the ground are radishes, beets, squash and some hardy greens. So this that in mind, I came home and made this for dinner. 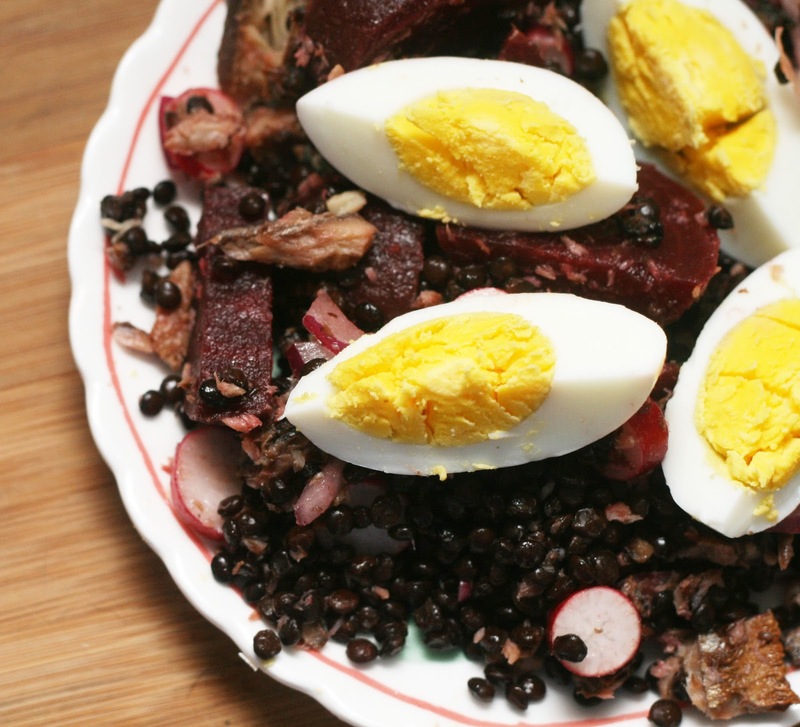 It, like quite a few things I seem to enjoy, combines a few ingredients people are skeptical of: radishes, beets, canned smoked fish, lentils...but again, I swear it is really good! Slightly pungent (eat among loved ones) but it really comes together to make a savory, smoky veggie packed salad that makes a lovely lunch or light dinner. 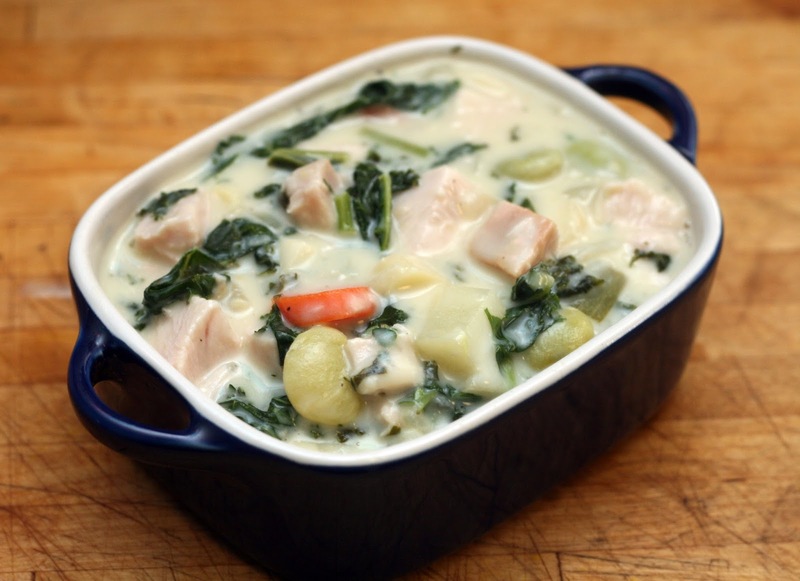 Melt the butter in a large skillet with high sides, a large saucepan or a stove top and oven safe 2-quart casserole. Add the onion, garlic, parsnip, celery, carrots, Lima beans, potatoes, and kale. Cook over low heat, stirring occasionally, until the onion is translucent. Stir in the flour and cook for 1-2 minutes. Add the milk, bay leaf, and stock. Simmer, stirring occasionally, until the liquid reduces and thickens a bit, about 10-15 minutes. Fish out the bay leaf. Add the turkey, herbs and spices. Stir to evenly distribute all ingredients. Cook for 2 minutes. 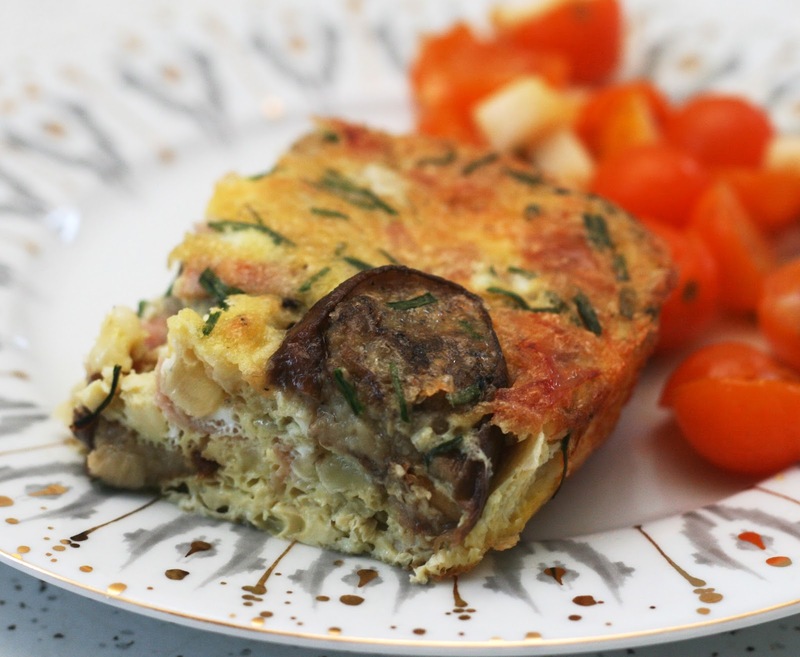 Divide into large, oven-safe ramekins or pour into a 2 1/2 quart casserole dish. Leave 1/4 to 1/2 inch of room at the top. Top with a layer of puff pastry. Pierce with a knife. Brush with egg. Bake for 20-30 minutes or until the crust is golden brown and the filling is bubbly. I bought this whole, smoked Butterball turkey ages ago at Aldi and stuck in the small extra freezer we have in our basement. It sat there forever because we never had room in the fridge to defrost it. One of the only lucky things to come out of the fridge breaking and throwing out all of our food is that we now have tons of space because we have no food. So I defrosted the turkey (and transferred all the frozen stuff from the basement into the fridge freezer and defrosted that so I have that to fill too!) on the empty shelf. I didn't really know what to expect but it was really good! It was super moist and juicy (there were even enough juices in the cavity to make a quick turkey stock with!) and while smoky, it wasn't overpowering. One of our favorite things to do with smoked turkey legs is make greens and while I had kale from my produce box order, I wanted to make something different with it. 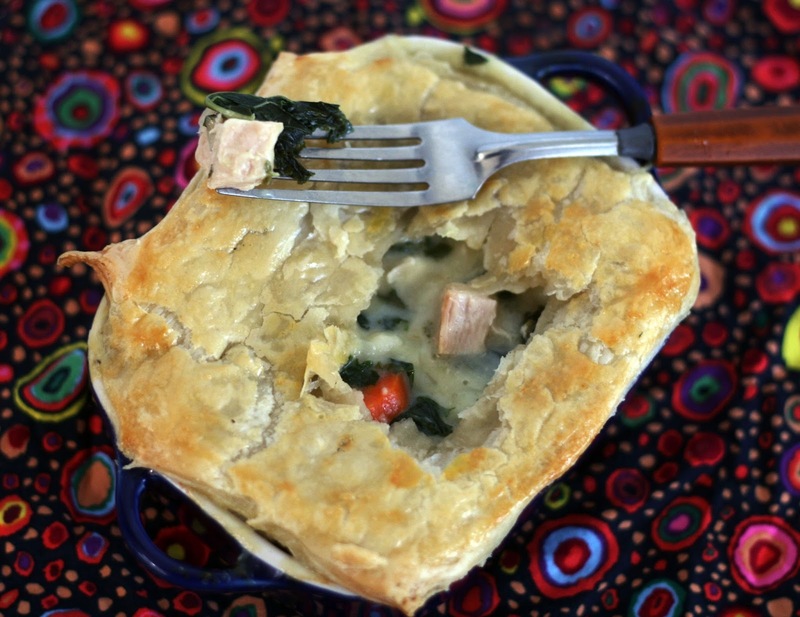 So I came up with the idea to combine greens and another favorite way to use up cooked poultry; pot pie! OMG, it was so good! Creamy without being too rich, savory and smoky and just really really good. Normally I put peas in my pot pie but since I was going Southern-inspired, I used Lima beans instead. They held up really well and added to the "packed with vegetables" pot pie I was going for. I hate having to make a side dish after making a time-consuming recipe so the more vegetables, the better! We have been so busy this summer it was good to get back into the kitchen with my partner in marriage and crime and make a fun meal! Pot pies are simple to make but time consuming so leave yourself more time than you'd think for the prep. Remove one egg's worth of white. Discard or eat. Chop up the remaining egg whites. Place in a medium-sized bowl. Stir in the onion and olives. Place the mayonnaise and spices in the small bowl with the yolks. Mash with a fork until smooth. Pour over the chopped egg mixture. Stir to combine. Refrigerate until ready to serve. It has been an unfortunately eventful last few months. One of the most recent disasters was our refrigerator going up resulting in the loss of hundreds of dollars of food including tons of beef, seafood, all of the produce I harvested and frozen this summer, and every thing in the fridge except cured meats, olives, butter and cheese. 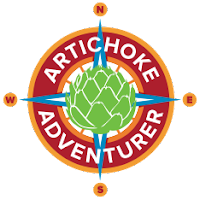 We are slowly trying to get things back in stock but between not having a fridge for nearly a week, visiting a peanut farm, the apple butter festival two hours away and Matt's school schedule I've barely cooked in weeks. I finally broke down and made this for our lunches. Luckily the smoked olives I had bought at the smokery survived and they add a ton of flavor to this easy egg salad. I bet regular olives would be good too if you can't find smoked--just swap the paprika for smoked paprika. Thoroughly coat the chicken with lemon pepper and flour. 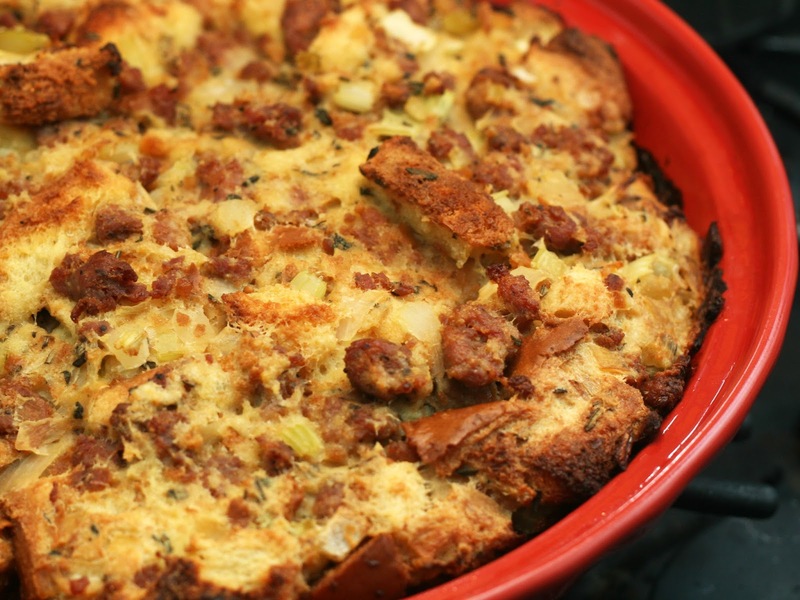 Place skin-side down in a hot, oven safe, dry skillet. Cook for 10-20 minutes or until well browned. Remove to a paper-towel lined platter. Drain off fat, leaving 1-2 tablespoons behind. Add the onions, zucchini, mushrooms, chard, and garlic and saute until the onion is softened and translucent. Season with salt and pepper. 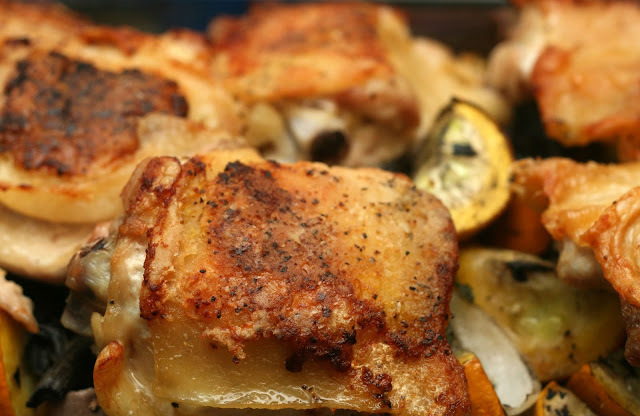 Place the chicken, skin-side up, on top of the vegetables. Bake for 40 minutes or until the chicken is fully cooked. Serve immediately. Note: If you have more vegetables than room in your pan, transfer them to an appropriately sized baking dish and then top with chicken and bake. 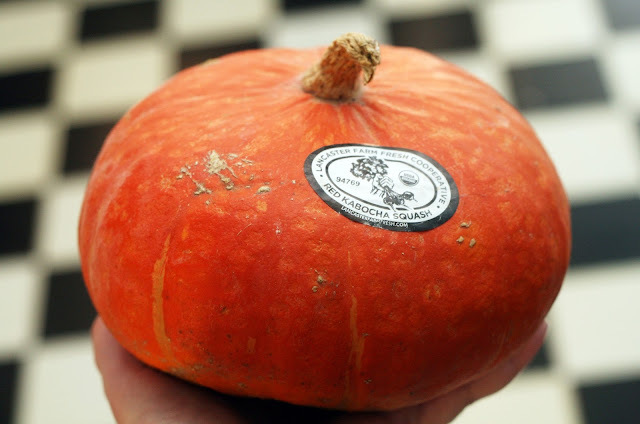 Last weekend we went to one of my favorite food festivals, the Kennett Square Mushroom Festival. Kennett Square is known as the mushroom capital of the world and they put on quite a festival! Not only can you buy mushrooms (we bought a five lb case of HUGE portobellos!) but they have all sorts of mushroom food on offer. This year we shared a candy cap mushroom cupcake, a mushroom tamale (the best! ), a Mediterranean burrito with mushrooms and pork, fried mushrooms and mushroom-free Dole Whip. In previous years we've had mushroom ice pops! Anyway, we brought home a ton of mushrooms so now it is my job to use them up! This is my second favorite way to cook chicken thighs. I love Maryland Fried Chicken the best but we can't always eat fried chicken! This method gives you crispy skin thanks to the browning step but requires zero extra fat. Then you layer it on a bed of vegetables. 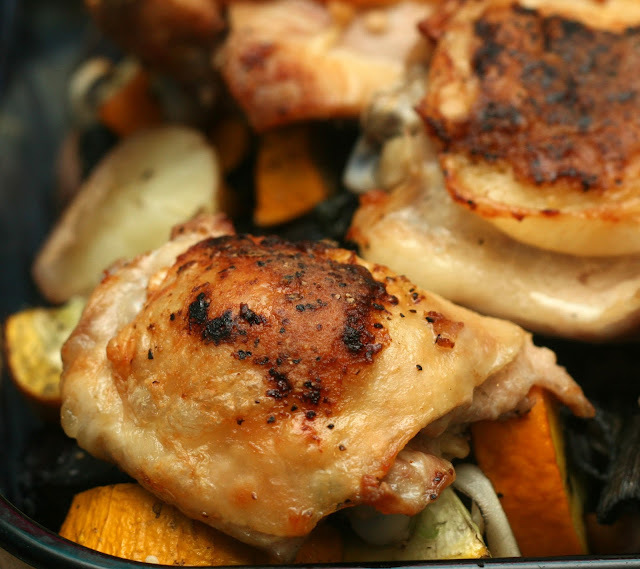 The whole thing bakes in about 40 minutes and you are left with both perfectly cooked chicken and a side dish all in one pan. Heat some oil or bacon grease in a large pan. Add the corn, lima beans, okra, onion, green onion and garlic and saute until the vegetables are tender. Add in the tomatoes and cook until just heated through. Season with salt and pepper. Stir in bacon. The fact that summer is ending makes me sad. I know some people love fall (and puzzlingly, everything pumpkin spice) but to me, fall means that my least favorite time of the year is right around the corner. Luckily we have a few more days of summer left and here in Baltimore at least, a few of my favorite foods are still in season. 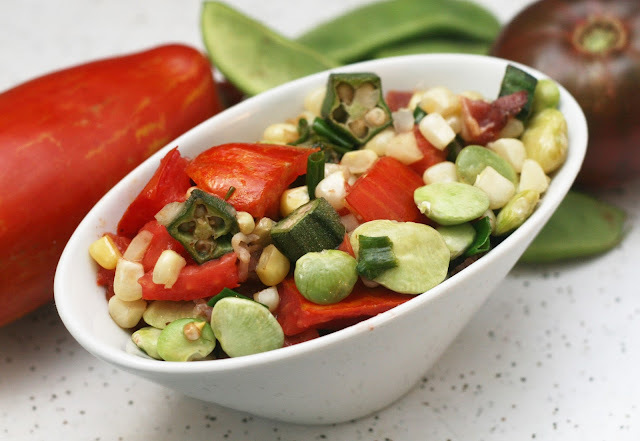 I picked up some heirloom tomatoes and lima beans from the tiny market in my neighborhood and decided to put them into this simple succotash. It comes together quickly--I dispensed with the sauteeing the onion first--and makes a great side dish to pretty much anything while showcase the last bit of summer produce. 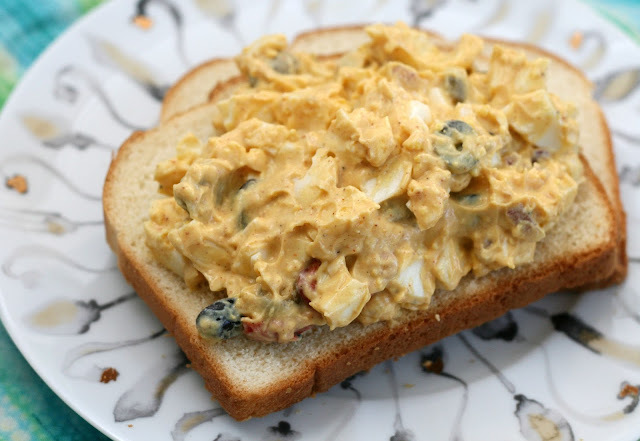 In a small bowl, break up the tuna into small chunks. Mix in mayonnaise, tahini sauce, red onion, capers, dill and pepper until well combined. Set aside. Core the tomatoes. scoop out some of the flesh to accommodate the tuna. Fill with tuna. Serve immediately. Tomato season is by far my favorite season. They are still going strong in Baltimore and I took a trip down to my local farmers market to pick up some big enough to stuff. I think tuna stuffed tomatoes were the just about first thing I remember making as a child. I want to say I got the idea from my Strawberry Shortcake's Cooking Fun cookbook but I'm not 100% sure. They didn't have tahini sauce in them back then though! 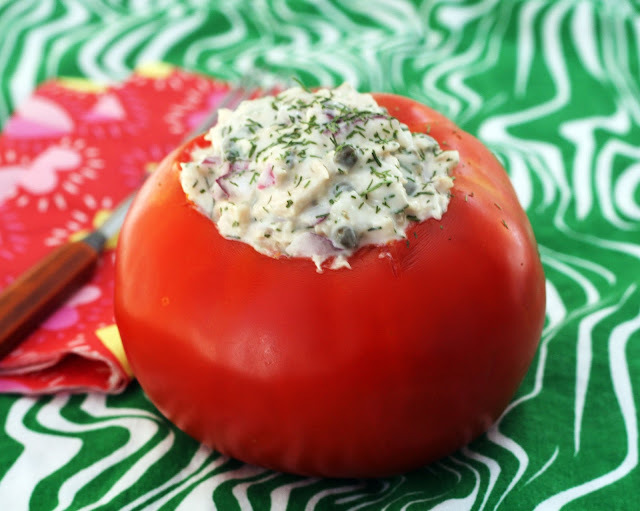 I updated the recipe just a bit to include tahini sauce and dill, two of my favorite flavors in tuna salad. Tomatoes are still in season here so I used some big, juicy ones from the farm stand. Just take care to use sturdy tomatoes like beefsteak that can be hollowed out without poking a hole through the side. I like to serve them immediately so the tuna doesn't get watered down but if you have to travel with them, hollow out the tomato at home and fill with the tuna at your destination.